Tiffany & Co. has joined the conversation about climate change with the brand's latest message. In an effort to urge President Donald Trump to remain in the Paris climate agreement, the brand has taken to Twitter, Instagram, and has also taken a full-page ad out in Tuesday's edition of The New York Times. President Trump is currently in the final phases of his decision—one that may ring in opposition to even members of his own cabinet, let alone those who do not support the current administration. The NYTreports that "although most Americans, his own secretaries of state and energy, and heads of state from around the globe are urging the president to stay, he remains undecided." The issue is becoming increasingly more pressing, with France's newly appointedPresident, Emmanuel Macron, as well as former President Barack Obama, coming out in favor of the United States remaining in the agreement. Though it is the hope that the urgings of companies like Tiffany, as well as political figures such as Macron and Obama (to name a few), will sway Trump's decision toward the support of climate change, it is a powerful message nonetheless to see so many make such strong statements in support. Dear President Trump, We're still in for bold climate action. Please keep the U.S. in the Paris Climate Agreement. The disaster of climate change is too real, and the threat to our planet and to our children is too great. 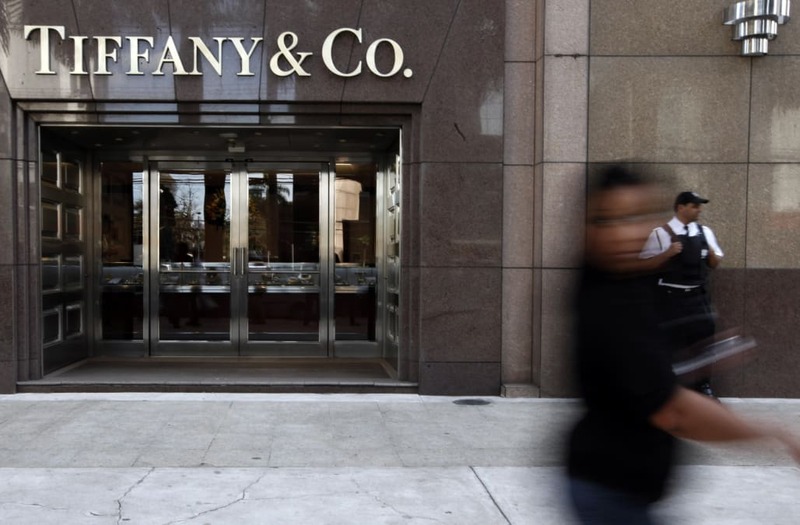 Though Tiffany is only just now joining the fight, it is the only major jewelry company to do so thus far, and it stands beside many Fortune 100 companies, including Apple, Google, Microsoft, National Grid, and the like, which have all banded together and penned a letter to the current President with the same resounding urgency to remain in the agreement. Anisa Kamadoli Costa, Tiffany Chief Sustainability Officer, made a statement to Refinery29 about its decision to issue such a public message to the President, saying, "As part of Tiffany & Co.'s commitment to sustainability, we support the global movement to act on climate change. Using our brand to advocate for this important issue—in addition to Tiffany's long-term goal of net zero greenhouse gas emissions by 2050—is one of the most important actions we can take."